Measuring rule graduated in millimetres and inches. The angle is read along the outside edge of the blade. 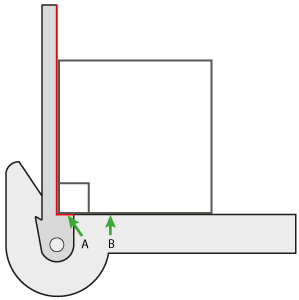 To correctly position the blade, align edge ‘A’ with edge ‘B’ so that they are flush with each other. 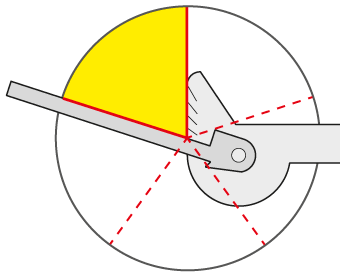 The chevrons in the diagram indicate the contact point of the tool edge to the circumference of the circle, the blade now bisects the circle. Scribe two lines at different angles on the circle along the edge of the blade. The intersection of the scribed lines will be the centre of the work piece. 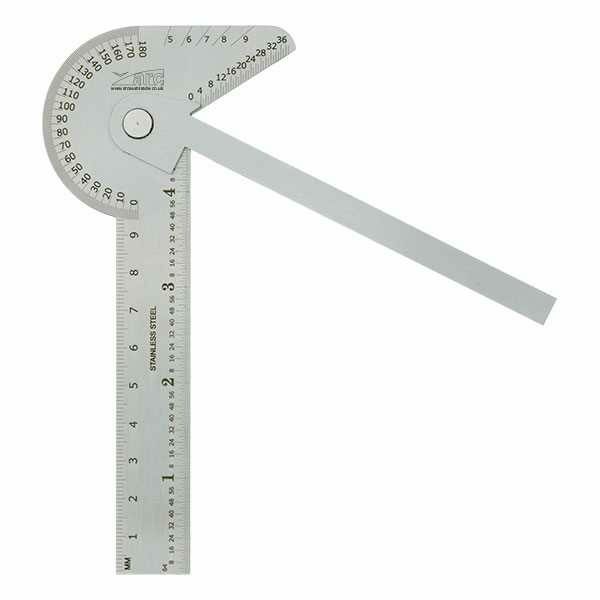 To divide a circle into equal sectors (between 5 and 9 sectors), the graduations at the top of the gauge are used. 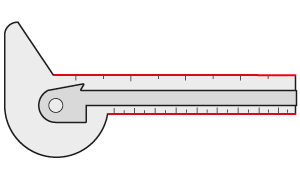 Align the blade with the graduation corresponding to the number of sectors required. Mark a line from the centre to the edge of the circle. 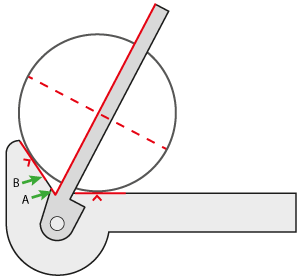 Now align the top edge of the gauge with the line just marked whilst positioning the intersection of blade and gauge on the centre of the circle. 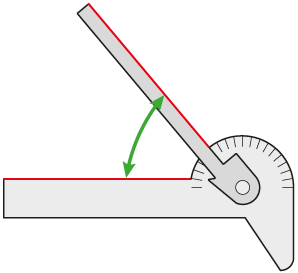 Mark a line along the blade to complete the first sector. Repeat steps 3 and 4 to mark all the sectors. 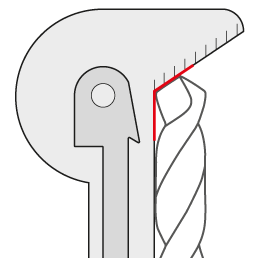 For checking the point angle and lip length of twist drills that have an included angle of 118°.